I finally had a chance to use the new bread pan John got me over the holidays! It’s for French/Italian type loaves, and, at least in my case, it REALLY helps them keep their shape instead of spreading out too much and going too flat during the second rising. The pan is about a foot and a half long, so the loaves you’re seeing are a bit on the small side (as compared to, say, Italian bread you’d see in the grocery store), but that worked well for us as we ate one and put the other one in the freezer. 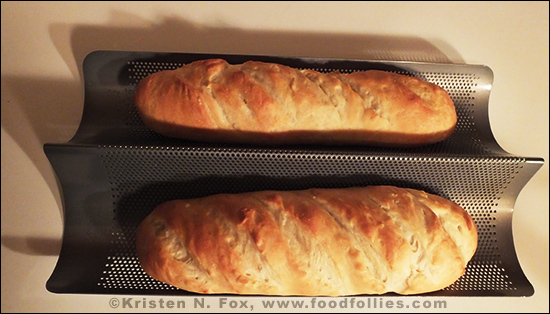 I made two mini french bread loaves and they rose and baked perfectly! Sure, I still need to work on ‘form’ but I can’t wait to cut a slice, just for sampling purposes, of course. 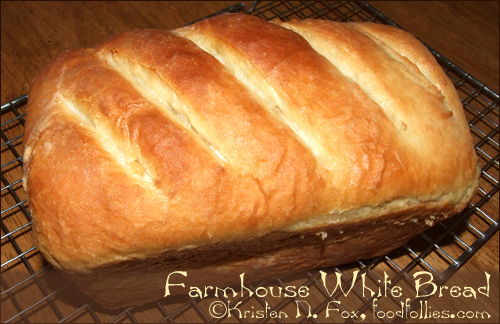 I tried another recipe from my friend Barbara Mack’s book, Easy, Fabulous Bread Making: A collection of quick, no-knead, homemade bread recipes – just a basic white bread – and it came out just perfect! I didn’t actually have the patience to let it sit overnight in the refrigerator, as per directions, so I let it rise in a pretty cold kitchen for a while, then punched it down and let it rise in the glass pan and then baked it. It made the most delicious peanut butter and jelly sandwich I’ve ever had! Absolutely nothing like homemade! As it was too hot and too late to taste it last night, I had a healthy piece for breakfast and it tastes absolutely delicious! I doubt if it will last more than a day here. I will definitely be making this again! Thanks, Barb! I can’t believe it’s taken me so long to make Blueberry Muffins from scratch. The main reason is that the price of blueberries around here is usually way too high. However, this week they had a buy one get one free sale, so I grabbed two little packages and began dreaming of blueberry pancakes, waffles or just rolling around in them on the floor. Fortunately, Kristen suggested blueberry muffins instead. I looked at a few recipes on the web, and adapted the best one that I found. I really pushed the blueberry content of mine to the limit, but only one muffin fell apart when I removed them, so I consider that a major success. The taste was incredible. 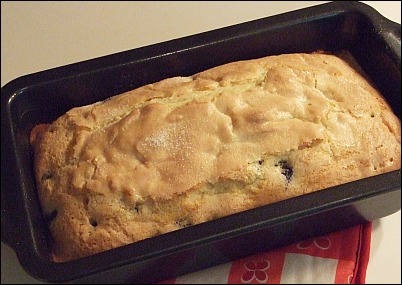 When I worked as a cook, I often used frozen blueberries for muffins and these totally blew them away. I really liked the crumb topping too, sure it’s another bowl to wash, but well worth the effort. Yesterday was baking day here, apparently. I had a hankering for some sugar cookies, but then remembered the Jello Cookies recipe which is very similar, just with the jello sugar instead. So I made the dough and whipped out my cookie press only to remember, after stuffing the barrel full of dough, that the plunger was broken and I needed a NEW press. Leaving me wondering why I had put the thing back in the cupboard to begin with. Oh well! So I got out a biscuit cutter and made cutouts. Since I used orange jello sugar, we had round orange cookies, with some green decorative sugars sprinkled on top for fall. I’m pretending that they’re pumpkins. I also made a loaf of yeast bread with half white flour and half whole wheat; it turned out pretty good, if a bit dense! Tastes really good spread with butter and then strawberry jam. I found a recipe for Egg Braid Bread on the side of a bag of Safeway brand flour. It looked interesting, so I thought I’d give it a try. 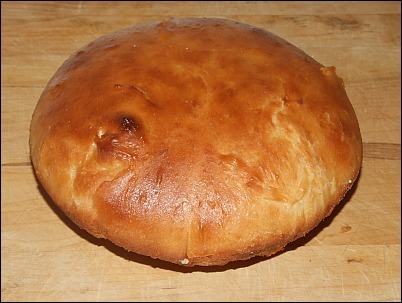 The recipe called for water, milk and eggs to be mixed with the yeast, and then adding the flour. It came together well, and I kneaded it the full ten minutes as reccomended. The most difficult part was getting braiding lessons from Kristen, even after she demonstrated by braiding her hair, I still needed her guidance with the bread. 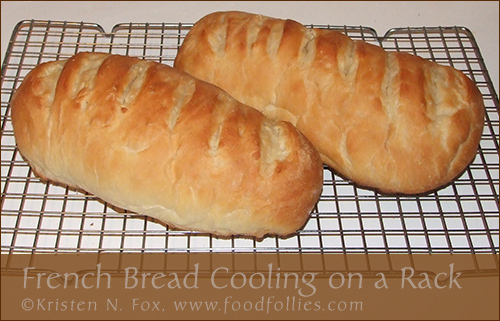 When the bread was warm it was good, but not great, which is why I’m not yet sharing the recipe. I liked the taste and consistency, it had a nice spring to it which I really enjoyed. The next day the bread seemed rather dry as if the moisture had escaped during the night. Our friend Tom who gave us that delicious loaf of bread from a few weeks ago, sprays his dough with water before putting it in the oven. 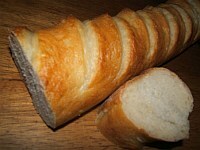 I’m going to try this method next time since all our breads always seem a little floury on the outside. Yesterday one of our bestest friends gifted us with a loaf of his homemade bread – we barely made it home with the thing intact – it was perfect! It had a thick, shiny, golden brown crust that gave your teeth a workout when chewing, a delicious flavor, the inside was thick and tasty, but tender as well. It even had the fancy schmancy diagonal slots across the top! I speak in past tense, although we do have a bit of it left, but it’s not going to last very much longer! Top O’ the Muffin to Ya! Comments Off on Top O’ the Muffin to Ya! On cold mornings I love to whip up a box of Jiffy Muffin Mix. I tried the Apple Cinnamon for the first time the other day, very apple-y but kind of light on the cinnamon. Next time I’m definitely adding some cinnamon myself. BTW if you have extra sour cream around, substitute it for the milk, it gives them a nice boost.